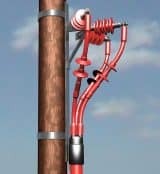 This following Product Update is about 132kV surge arresters – the ABB PEXLIM surge arrester is manufactured and specified to provide overvoltage protection to high voltage 132kV electricity networks and gas insulated substations. ABB PEXLIM is a 132kV surge arrester for protecting UK DNO electrical infrastructure including HV substations, transformers, switchgear, capacitor banks, motors, bushings and cables distributing high voltage power – usually the arrester is installed on overhead line to underground transitions on power networks. The ABB design is safe, secure and effective. The ABB PEXLIM surge arrester is National Grid compliant and approved for 132kV electricity networks – contact us for technical specification support, competitive quotations and immediate delivery from UK stock for 132kV surge arresters. T&D can supply an extensive range of Joints, Terminations & Connectors MV HV to support the installation and routine maintenance of 132kV polymeric type (XLPE) insulated cable systems – this includes copper earth tapes manufactured by ABB Furse to provide effective Earthing & Lightning Protection to high voltage substations up to 400kV. This range of HV sure arresters complements our line of 132kV link boxes with UK DNO and National Grid Approval. 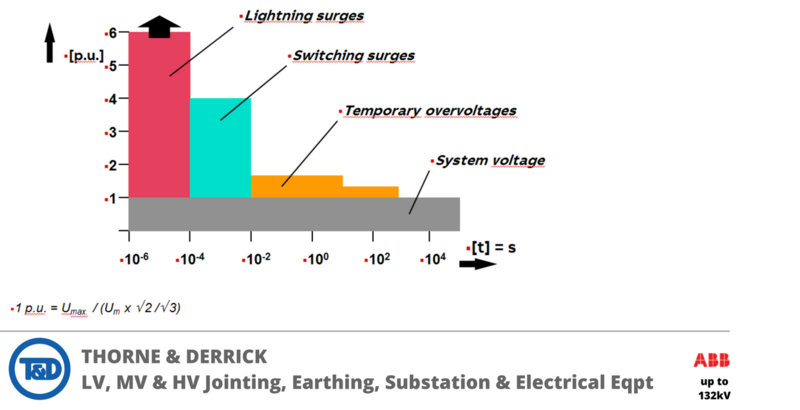 Lightning strikes the ground in Britain about 300,000 times a year – for the utility industry this is a risk factor that must be countered by the MV HV substation designer, EPC or power distribution contractor. 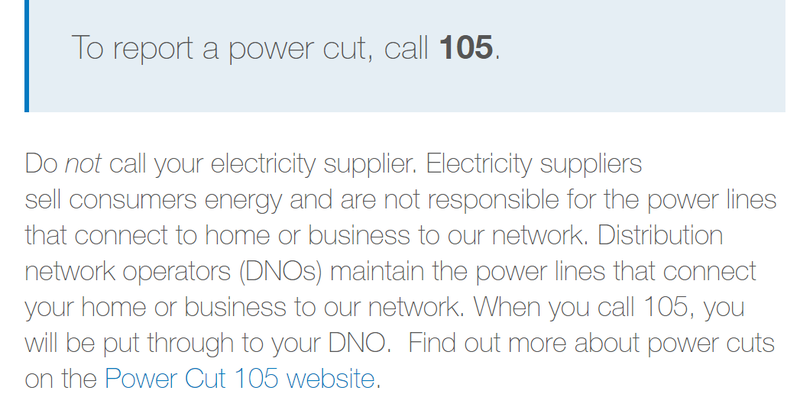 UK DNO’s take the uninterrupted supply of electricity to our homes and business seriously, very seriously. 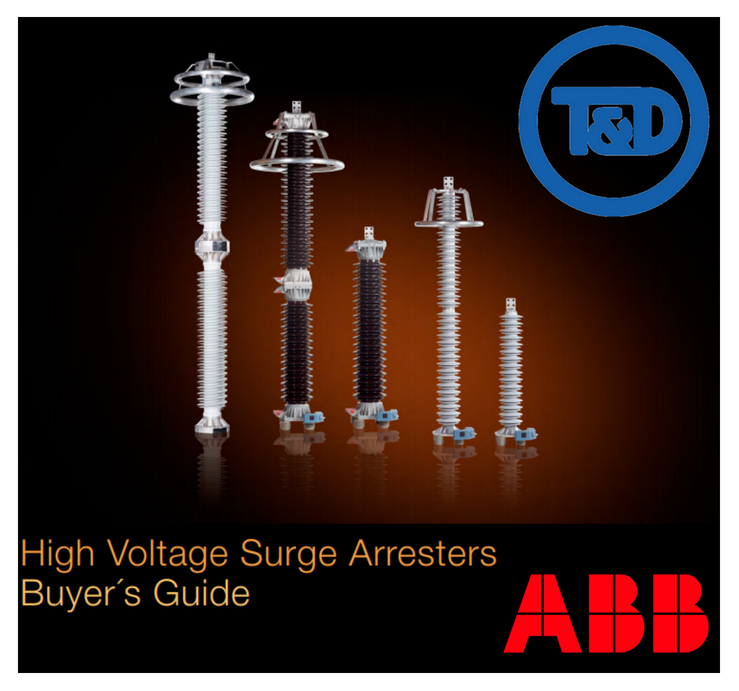 T&D working with ABB can provide surge arresters for electrical protection of all types of medium/high voltage MV HV assets – view the Buyers Guide or better still call us to discuss your particular requirements. Surge arresters can be supplied with compliance to all UK DNO specification requirements including WPD, Northern Powergrid, UKPN and Scottish & Southern Energy (SSE). ABB surge arresters protect HV electrical power supply systems against the catastrophic effects of lightning and switching overvoltages. Since 1985 Thorne & Derrick based in the UK have been specialist distributors of LV, MV & HV Cable Installation, Jointing, Substation, Arc Flash Clothing & Electrical Equipment – customers include UK and worldwide contractors, specifiers, traders and end-users involved in cable installations, sealing cable ducts, cable jointing, substation earthing, overhead line and electrical construction at Low, Medium & High Voltages up to 132kV. Should you require any technical support, specification guidance or would like us to visit you and discuss the range of ABB Surge Arrester products please do not hesitate to contact us – T&D are proud to distribute the ABB ranges of MV HV Electrical Equipment. 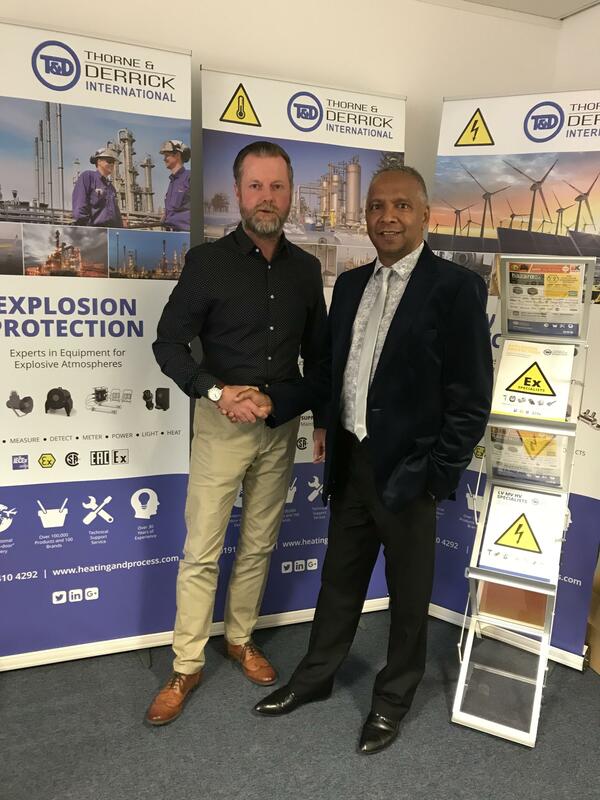 Chris Dodds (T&D) with Donald Thompson (ABB MV Surge Arrester Sales Manager) at Thorne & Derrick’s office in County Durham UK earlier today.